The 2017 "Star Wars Celebration" has been going on for the last day or so -- and now those of us who aren't there are getting what's likely to be the most exciting thing coming out of the event. That's right, the first trailer for Star Wars: The Last Jedi was just shown off to attendees and it's now online for all to enjoy. Disney and Lucasfilm have been experts at keeping plot points under wraps for the newer Star Wars films and this teaser is no exception. The last minute or show features plenty of action, but it starts with a slow burn of Rey learning how to control the Force with a voiceover that can only be from Mark Hamill's Luke Skywalker. But most ominous is the ending line from Luke: "It's time for the Jedi to end." Unfortunately, we'll just have to puzzle over what all this means for another eight months or so. The trailer was first revealed following a panel on The Last Jedi which included commentary from Mark Hamill and Daisy Ridley. 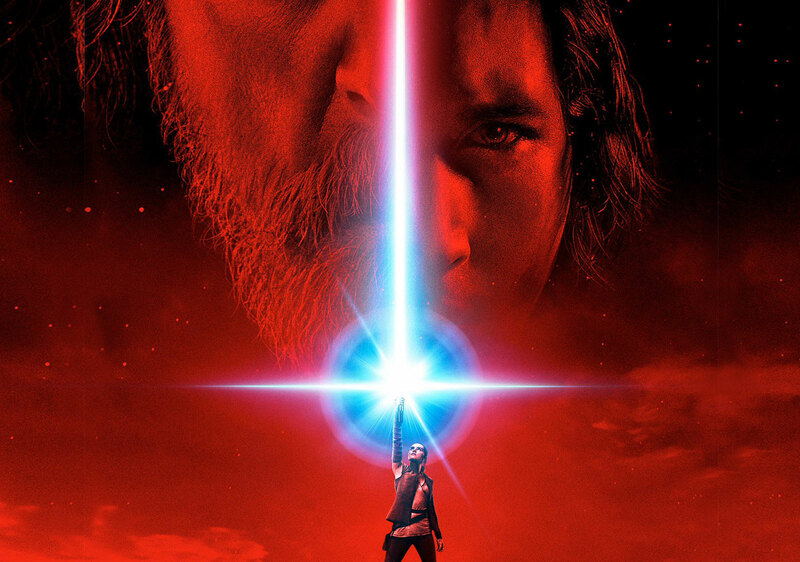 A post for the new film was also shown off, featuring Luke Skywalker and Kylo Ren's faces divided by a lightsaber wielded by Rey.